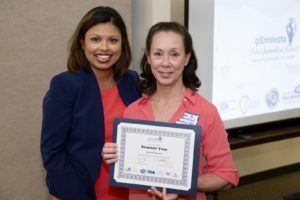 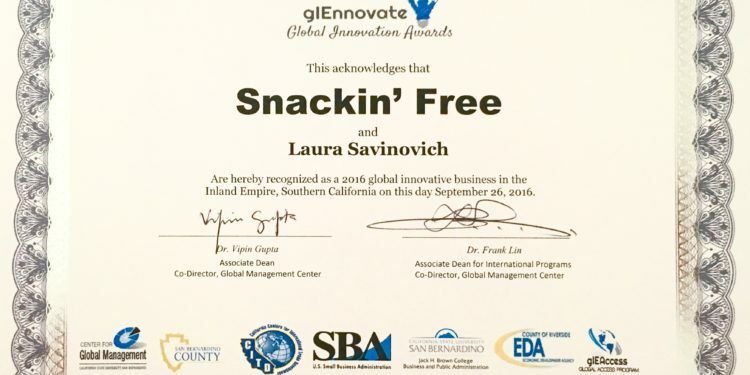 Alternative food company Snackin’ Free recently received a 2016 Annual Inland Empire Global Innovation Award at a ceremony held at California State University State San Bernardino. 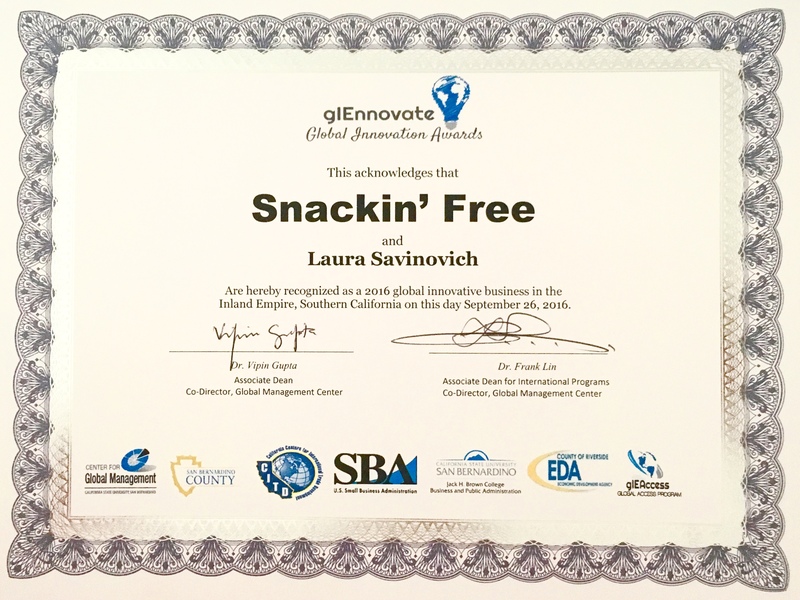 For more information, please visit www.snackinfree.com. 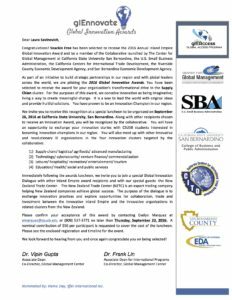 The award, presented by The Center for Global Management at California State University San Bernardino, the U.S. Small Business Administration, the California Centers for International Trade Development, the Riverside County Economic Development Agency, and San Bernardino Economic Development Agency, recognizes national and international manufacturer Snackin’ Free for its transformational drive in education about new food options made available to consumers with e-commerce. 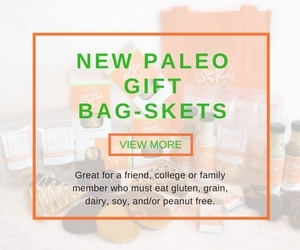 Snackin’ Free strives to provide foods that bring a sense of normalcy for those who are living a Paleo, Primal, Auto Immune Protocol (AIP), Specific Carbohydrate Diet (SCD), GAPS and Low GI lifestyle while still maintaining good nutrition and great taste. 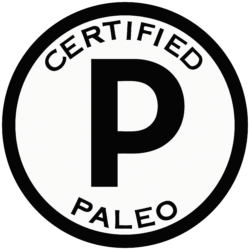 The company creates tasty food formulations using quality, real, nutritious, organic, whole food ingredients and leaves out unnecessary artificial additives and preservatives including the world’s first gluten/ grain-free bread with a taste and texture as good as regular bread. 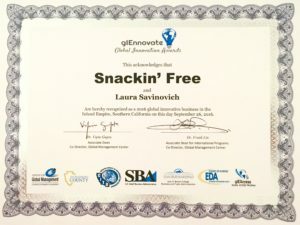 For more information, please visit www.snackinfree.com.